I picked up this dress in NYC a few weeks back and found it to be the perfect sight-seeing dress. I've re-worn it since with a scarf, jean jacket, vest and even skinny jeans! Definitely a great buy for fall! 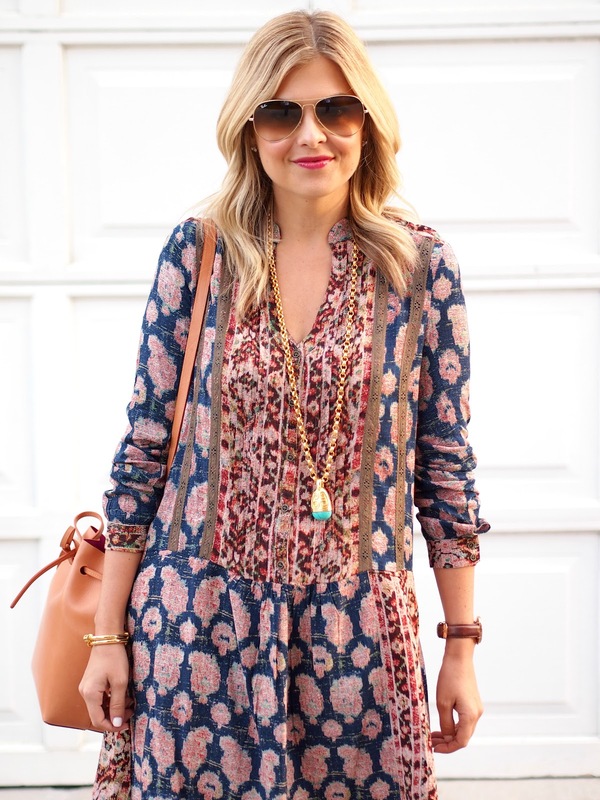 Lovely boho chic look! That necklace is super cute. 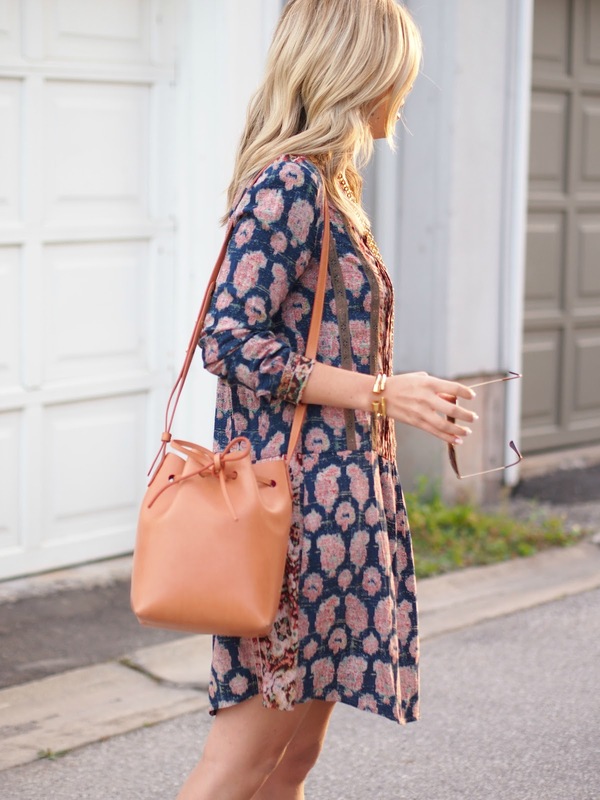 You have styled this shirt dress perfectly! Love the boho vibe- shirt dresses & autumn were made for each other! You look so beautiful in this boho chic and feminine outfit! I absolutely LOVE the pattern of your dress. Love how you styled this dress with a necklace, looks great! Beautiful dress and it fits you perfectly. Such gorgeous colors!